Flixbus also plans express service as part of a corridor well into Texas, with an introductory price of 99 cents a way (if purchased beforehand). Ultimately, it may settle in with the lowest costs of the three, given its track record internationally, and plans three trips a day. Meanwhile, Louisiana continues to flail about the idea of high speed rail between the two cities. Research addressing the possibility pegs government-subsidized per passenger costs at least five times higher than what these private-sector bus services can provide. Cities along the route continue to budget millions of dollars for stations, displaying much faith that if building these, they will come. Elsewhere in the country, both government and the private sector continue to pull back from grandiose plans for high speed rail. Keep in mind the current plan for “high speed” calls for four round trips a day barely above the interstate highway speed limit but taking longer between the two cities because of multiple stops, and would serve fewer than a half million passengers a year. Even the state subsidization figure of $6.8 million annually seems low when considering the bus competition, and doesn’t even include maintenance on the $262 million infrastructure build-out necessary to bring this boondoggle into being. In any state subsidizing occurs, trying to reestablish eastward service through Amtrak – which doesn’t include Baton Rouge – seems a better priority, which actually would cost less yearly. Whether that seems worthwhile, Alabama has shown no appetite, making the project a line to nowhere at this point – saving Louisiana $9.5 million that Gov. 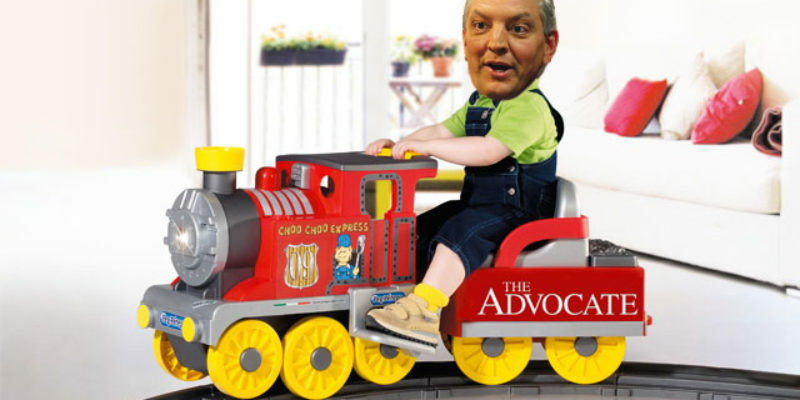 John Bel Edwards was prepared to throw at the idea. Why commit so many taxpayer dollars – both federal and state – to something that the private sector seems more than happy to do on its own? The Edwards-appointed Louisiana members of the interstate agency leading the charge, the Southern Rail Commission, need to stop wasting federal grant money on this pipe dream, and legislators must prevent appropriations of state bucks funding this delusion.